Looking for Live Music in Vernon BC? Looking to Groove while you’re in Vernon BC? We have lots of local bands that play at the local venues as well as an array of visiting performers from across BC and Canada. The Green, located in the Village Green Hotel, hosts live music almost every Friday and Saturday nights. Enjoy a beverage or try some of their new pub fare at this locals hot spot – you can even star in your own show during Superstar Karaoke on Sunday nights. The Green often has bands such as Easy Fix, Mace, The Marksmen, Bender, The Youngun’s, and Junk Yard Dogs to name a few. You’re able to dance all night long at The Green. Food. Drink. Entertainment. Another local’s pub that offers up a fantastic musical menu is the Longhorn Pub. The Wheelhouse Band plays every Sunday night and they often host special events, local bands and Spotlight Karaoke nights. Always great food and good times. Or head over to Checker’s Bar & Grill in the Best Western PLUS Vernon Lodge who host many of the bands named before as well as Feet First and The Goods. Looking for a more intimate setting to enjoy some live music? There is a number or restaurants where you can enjoy a casual meal with friends or a sweetheart and be listen to some background melodies. Dorian’s Greek Taverna has live music Wednesdays, with singer-songwriter Chris Madsen, and Sunday’s, with jazz & classical pianist Heather Mehain. Stop by Los Huesos Mexican restaurant Friday’s & Saturday’s to hear flamenco guitarist Lance Carr play while you sip on sangria. Thursday’s you’ll find the bluesy sounds of Les Copeland and Cameron Ward at Bourbon Street Bar & Grill, they’ve also hosted events with guests such as Kenny Blues Boss Wayne. The Vernon Jazz Club in historic downtown Vernon offers a season of swing, soul and sweet sounds in their heritage venue. Run by the volunteer based Vernon Jazz Society, the Jazz Club is only open on show nights and also works to encourage young jazz musicians in the Okanagan Valley. Visit their website to see all the upcoming shows for the season www.vernonjazz.ca. Of course, the Vernon & District Performing Arts Centre is a stunning venue for all types of live music and performance. Whether it’s the Okanagan Symphony Orchestra and their many talented musical guests, or a lively concert with hometown super star Andrew Allen or Daniel Powter, the venue is perfect and the crowd is always having a good time. 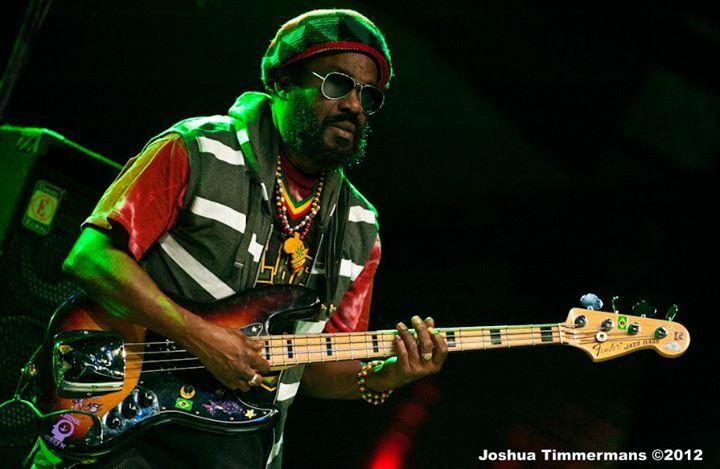 an upcoming concert that is sure to be a fantastic show is The Wailers on March 15th. They also have a Morning Melodies series and On-Stage Concert series that provide a more up close and personal experience for the audience members and the performers. In the summer months, head over to Friesen’s Country Time Gardens, or south of Vernon to Gatzke Farm Market for live music in a farm-gate setting. Both are making names for themselves as popular entertainment venues with Friesen’s offering softer sounds and Gaztke’s going all out with events like their Woodstock Revival festival. Both offer a unique entertainment experience where you can also purchase fresh produce grown on-site or grab a bite to eat at their farm-market cafés. Tons of choice and variety if you’re looking for live music venues in Vernon BC. For all upcoming live music events and festivals visit www.tourismvernon.com and head to our Things To Do – Events calendar.